The world is in danger. Through the combined efforts of a vast array of terrorist organizations, field agents throughout the spy world have been compromised and eliminated. A problem that continues to plague the hidden society of cloak and dagger to this day. However, in an effort to combat this league of international terrorism, the heads of government agencies from around the world have instituted an experimental program they are calling Spy High. Handpicked recruits from all over the world are enrolled in the Spy High program, trained and used to fight back against the growing threat. Hidden within the halls of a multicultural high school environment, agents are educated, debriefed and distributed to neutralize problems to the world's security. Destiny Kane: The beautiful bombshell that's new to Spy High. Not too much is known about this girl, except that she looks amazing and may or may not have a thing for Alex. She's got skills that go above and beyond most of the recruits intermingled into Spy High, but everybody has their niche, right? Now, if everyone would just trust her. 001 Die Another First Day Synopsis: James Fleming High School's official first day of classes. While Alex tries to get settled back into the swing of things, a new student shakes up the status quo. Meanwhile, a pair of hired assassins are vying for top billing in the terrorism world by battling to see who can kill the Secretary of Defense first! Alex Rider originally appeared in his own series of books. 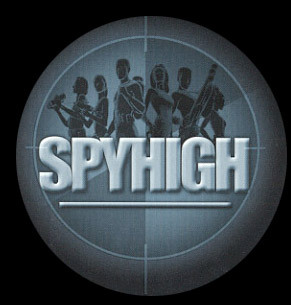 The rights to use his likeness for Spy High were acquired in 2007. This is Chance Elliot's first ever acting gig. Being an athlete himself, he vows to do as many of his own stunts as they will allow. 1) Rumor has it that Michael Ironside is in talks to make a recurring appearance on the show, this season. No word on what his character may be, though.